At Macenmist’s truffiere you’ll be joining the truffle hunt, following truffle dogs Fahren and Tawdiffu in the search for Perigord black truffles grown in the Canberra / Snowy Mountain region. After smelling the aroma that permeates the soil they harvest the truffle in true archaeological style. After a frosty start, you’ll be enjoy the cosy atmosphere of the truffle shed. Enjoy a warm cup of Gluwhein while savouring delicate truffle samples. 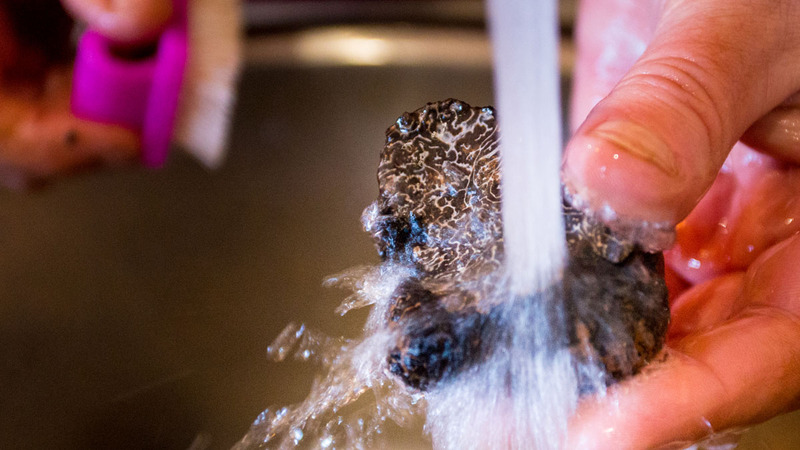 Watch how to clean and grade truffle and learn something of the mystique that surrounds them. Book a Family Truffle Hunt now!